SagePay users lack the complete picture to grow their business due to the absence of strong insights. 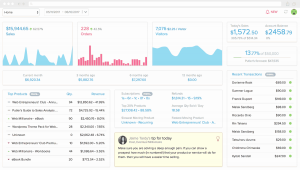 But, now with this in-depth reporting and analytics software Putler, it won’t be the same. Why in-depth reporting for SagePay is a necessity? The standalone SagePay reports provides only transactions data which isn’t enough for a business to grow. If you really want to make your business stand out, you must get well versed with your business completely. Therefore, in-depth reporting is a must. SagePay traditional reporting gives you complete details about all your transactions and settlements. It has a customised reporting and admin feature that enables you to request, and produce your own reports. This report lists all transactions that have been processed through your account. Moreover, you can ,refine the search to view transactions for a specified date range. Once your report has been created, you will then be able to select the fields you would like to see within the report. You can then export the report as CSV for future reference. The settlement report will show all funds that have been credited into your bank account for a specified date range. After the date range has been selected, your report will be created. YOu can then export it as CSV. The summary report provides you a full breakdown of all transactions both successful and failed that are processed through your account for a specified date range. Note: This report can’t be exported and printed. SagePay has done a fine job in bringing up the transactions and settlement reports. But when it comes to growing your business, you can’t stick with traditional SagePay reports. You need other strong insights and here’s where SagePay reporting falls short. Revenue breakup – hourly, weekly, monthly, yearly, custom; revenue growth comparison, order frequency, sales heatmap, etc. are not shown up in SagePay reports. Top selling products, quantities sold, product-vise refunds, whether product moves up or down in leaderboard based on sales, top 20% products and a lot more KPI’s are unavailable in SagePay reports. SagePay also misses out on customer details like – new vs returning customers, customers segments – loyal, lost, champions, sleeping, etc. ; customer profile with total orders, lifetime value, their details – email, name, avatar, phone, address. Top search terms driving traffic to your sites, number of people using those search keywords, and their bounce rate, leads acquisition from social media and organic search, and other metrics too are not covered up in SagePay reports. Is Putler the best SagePay reporting solution? Putler is an all-in-one reporting and analytics solution for SagePay. With Putler’s out of the box Sagepay connectivity, you can easily import all your SagePay transactions into Putler and instantly see insightful statistics about sales, customers and products. Multiple accounts consolidation: You can accurately combine multiple ecommerce platforms, payment gateways and view your business stats for each one of them. Be it SagePay, PayPal, WooCommerce, Shopify, etc. Connect your preferred platform without the fear of data duplicates and have a complete picture of your business – accurate and real-time. 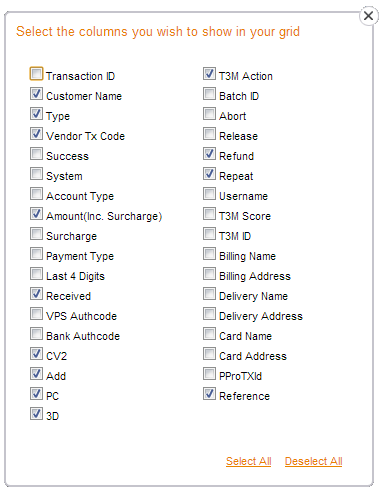 Individual and aggregated data: You can connect any number of SagePay accounts / other ecommerce platforms or payment gateways to Putler and can view individual as well as combined stats of your business. Complete sales and transactions metrics: Revenue breakdown date-vise, orders, refunds, sales heatmap, full transactions list, customer details, etc. all at your fingertips. Instant transactions lookup: Putler’s search feature works at a lightening speed. Want to find any particular customer details, enter search terms and all related transactions for your query will be brought up within seconds. Products and customers KPI’s: All products and customer insights missing in SagePay mentioned above are covered up in Putler. Plus a lot more. Google Analytics Integration: Putler integrates with Google Analytics and fetches instantly useful visitors insights like top webpages, bounce rate, sources of lead acquisition, etc. Issue refund: You can issue refunds to customers within seconds using Putler. SagePay reports are very good if you just want to stick with your transactions data. But, if you really want to grow and scale your business to a new high, a complete and in-depth reporting and analytics is all you need. Hence, you must use Putler.